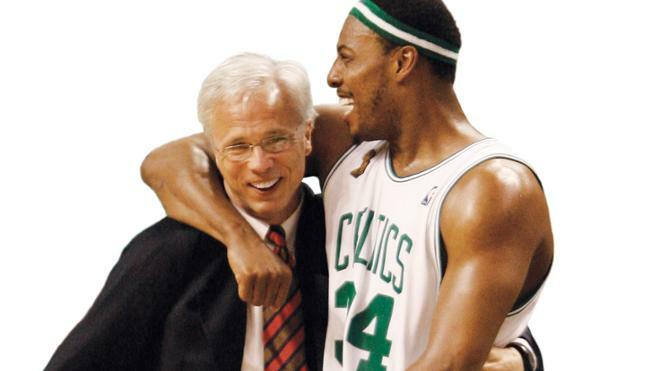 After the Boston Celtics won the 2008 NBA Championship, assistant coach Kevin Eastman, R’77, received a request to address a group of business executives. Eastman is a basketball lifer, spanning from his playing days at Richmond and a short-lived professional playing career to his tenure as a college assistant coach, head coach, and athletic director; a well-respected NBA assistant coach; and most recently, vice president of basketball operations for the L.A. Clippers, a management position. And as the Kevin Eastman Award — given to Spider men’s basketball players with standout leadership qualities and work ethic — suggests, he’s not one to shy away from a challenge. Eastman quickly developed a passion for his new vocation. At first, he limited his appearances to the NBA’s offseason, but since his retirement from basketball in the summer of 2016, the Richmond-area resident estimates he’s had more than 150 speaking engagements worldwide — about 70 percent corporate, 30 percent sports-related. Eastman is now spreading his gospel to a wider audience with a new book, Why The Best Are The Best: 25 Powerful Words That Impact, Inspire, and Define Champions. More information about him and the book are available at kevineastman.net. “I strongly believe there’s more inside each of us, and sometimes we just don’t know how to get it out,” he said. “So many people are on that continuous daily treadmill that they really haven’t had time to sit down, slow down, and try to figure out where they want to go. Eastman carved out time to speak with Spider basketball players Grant Golden, ’20, and Alex Parson, ’21, at September’s Atlantic 10 Student-Athlete Leadership Summit.